The Ephemera Society may be holding an exhibition during Rare Book Week about the ephemera of reading. What might that be in the exhibition? We like ‘envelope pushing’ definitions. 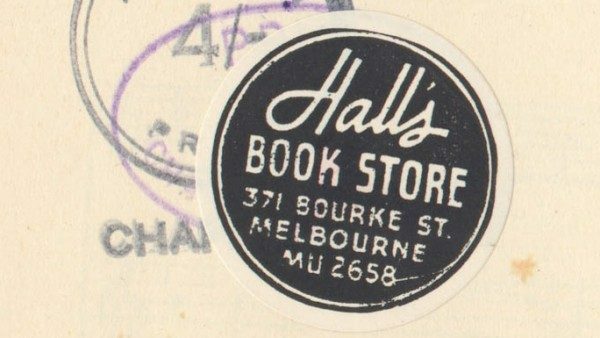 So the ephemera of reading might include bookmarks, library cards and bags, bookplates, booksellers’ stickers, letterhead, advertising and paperbags. It might also include ephemera showing adults, children and other living creatures reading. 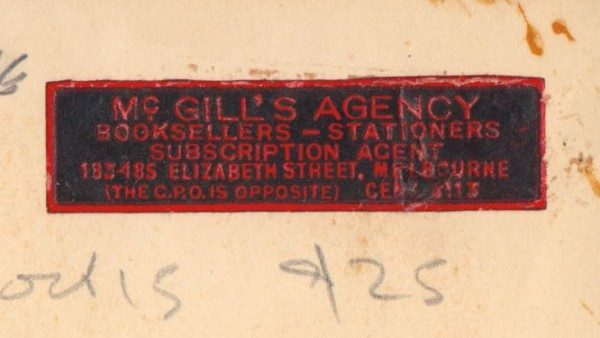 For members who have received the newsletter here are some highlights from the booksellers’ labels that we believe would fit into the exhibition. 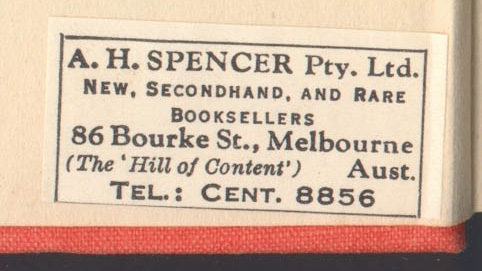 The labels reproduced come from well known, to Melburnians in particular, booksellers like Allan’s, Dymock’s Hall’s, McGill’s and A. H. Spencer Pty Ltd.
Only Dymock’s and the Hill of Content survive. 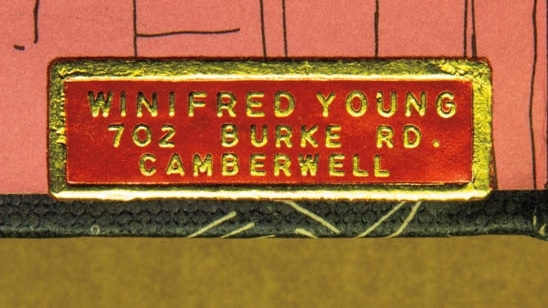 There are also bookseller labels from other booksellers such as the Austral book shop, Swain’s of Sydney and Winifred Young of Camberwell, Victoria. in 1952 a different flavour emerged. Austrovert was a short lived irregular magazine promoting Australian literature but not in the style of academia and literati. Postage extra. Write for free monthly lists. 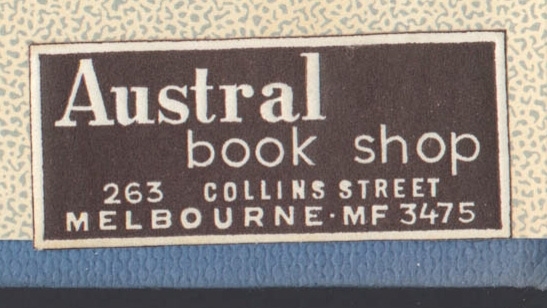 AUSTRAL BOOK SHOP 263 COLLINS ST., MELB., C.1. FJ3730. Shop in Collins Street, City, on the advice of the Crown Solicitor, Mr T. Mornane. Mr Rylah said the police had not been directed by the Government or by the Chief Secretary’s Department. Mr Flesch said he would seek legal opinion as to his position. The Deputy Chief of the CIB, Chief Det.-Insp, J. Matthews, said tonight he could not comment on whether police would seize copies of the book from other shops. The labels come from books in Mick S’s salesroom and we plucked at shelves looking for labels in the inside covers of hardbacks. Our strategies were different. 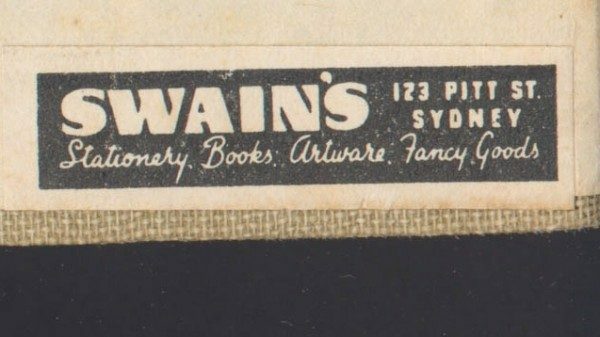 Mick associated the labels with books of the 1920s and 30s. The writer opted for 40s and 50s. 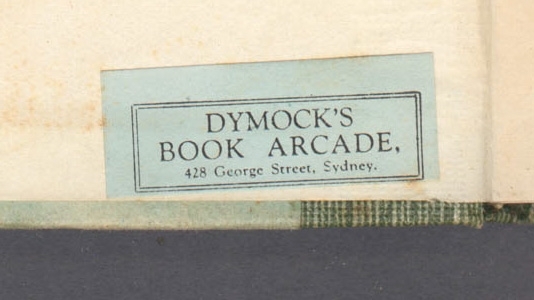 Bookseller’s label in C. H. Bertie’s The story of the Royal Hotel & Theatre Royal Sydney (Sydney: Simmons Ltd, 1927). Of note this was a limited edition book – 500 copies. We would like to showcase material from as many collections as possible, and show interesting and unexpected readers and reading places. Please photograph, photocopy or scan possible exhibits to mmbede ‘THEN USE FIGURES FOR EIGHT TEN’ ‘AT’ gmail.com or A. Bede, 6 Duke Street Richmond 3121. Sheet music seller’s label on By the waters of Minnetonka, 1914. 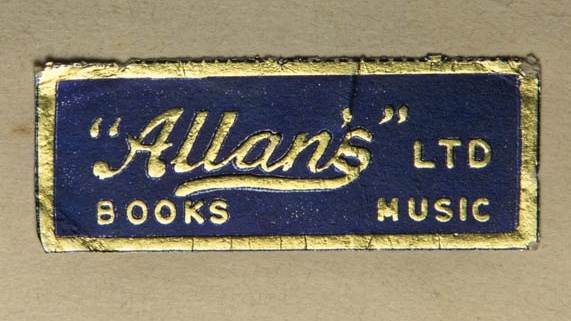 RE the Austral Bookshop – Mr Flesch’s daughter, Juliet Flesch could be contacted for more details of her father’s shop. She is a Fellow in the History department at Melbourne University. Yes very true, some authors will have kept this correspondence. I know the State Library of Victoria has say Peter Carey’s archive. I will ask if this includes fan letters. ESA ed.